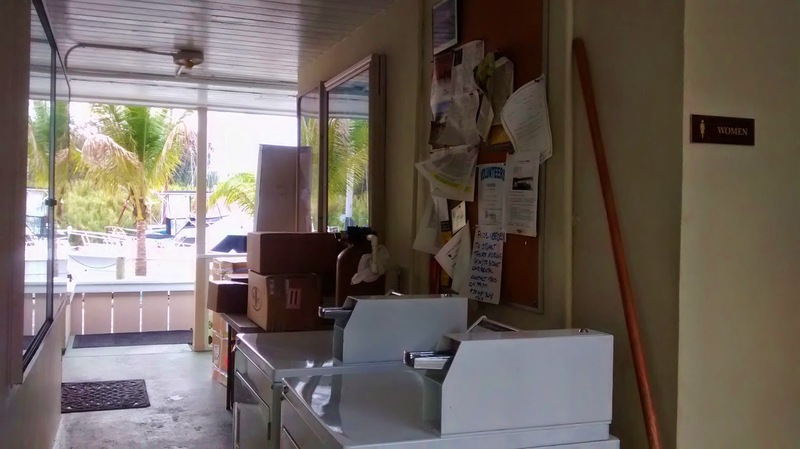 Since we bought our new-to-us boat in mid-April, we've been working hard on a number of boat projects at Indiantown Marina in Florida. Someone told us that it is one of the most laid back boat yards and marinas on the eastern side of Florida, not to mention cheaper than others. I've no idea if that's true, but it really is a chilled out place with a friendly and helpful folks running the office, travelift and boat yard. The previous owners have been storing the boat at Indiantown for years. They would come down from Canada each season, get the boat ready for cruising and head on off to the Bahamas and Caribbean. During hurricane season, they put the boat up on the hard and headed back home, knowing that she was in safe hands and tucked away in one of the best hurricane holes in Florida. 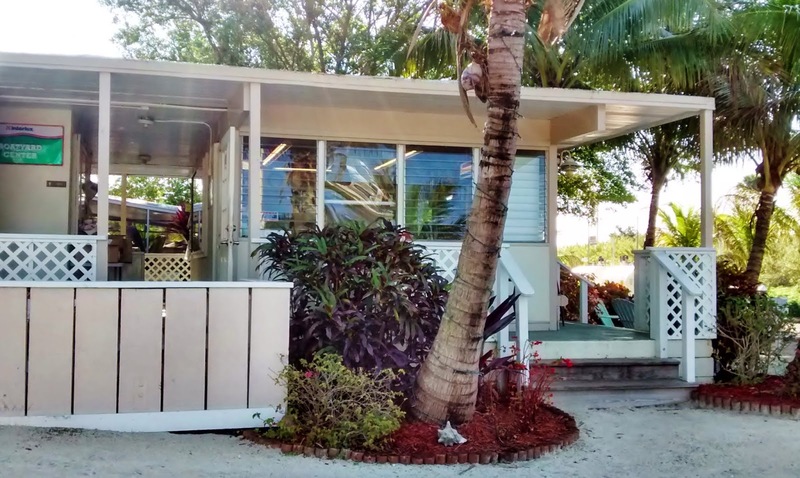 When we bought the boat, the owners had taken her Indiantown, as per their usual practice, so we decided to do the work we needed to there. To be honest, other then the good things that the previous owners had said about the marina, we really didn't know much about it, but I think we lucked out. 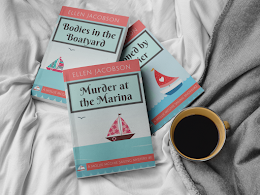 If you're going to slog away on boat projects in unbearable heat and humidity, then you might as well do it someplace laid back, right? So how about if I take you on a little tour of the marina? Let's start at the office. There are two nice ladies who run the office. 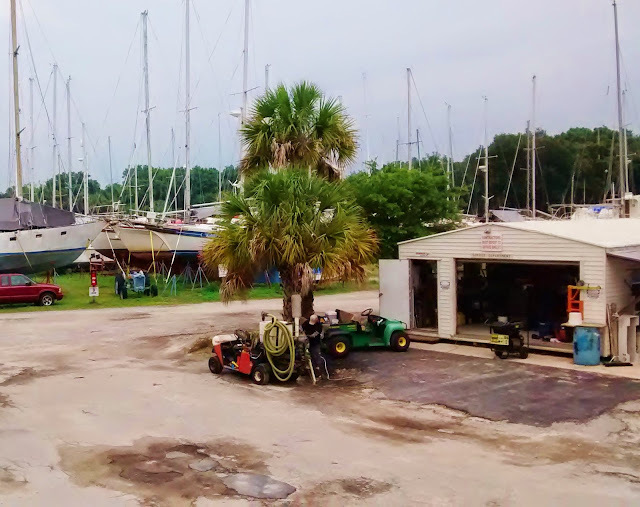 They manage all of the scheduling, accounts and will happily sell you supplies you need for your boat (like paint rollers and boat was) and stuff you need for yourself (like an icy cold coke on a hot, hot, hot day). Things were crazy when we were there with lots of boats coming back from the season, needing to get hauled out and put in storage for the summer. The ladies had to constantly juggle things around. There was a mix-up with our splash date (fancy sailor talk for putting your boat in the water), but they sorted out the mistake and squeezed us in. Flexibility makes me happy. Right next to the office are toilets, showers, washing machines and dryers. 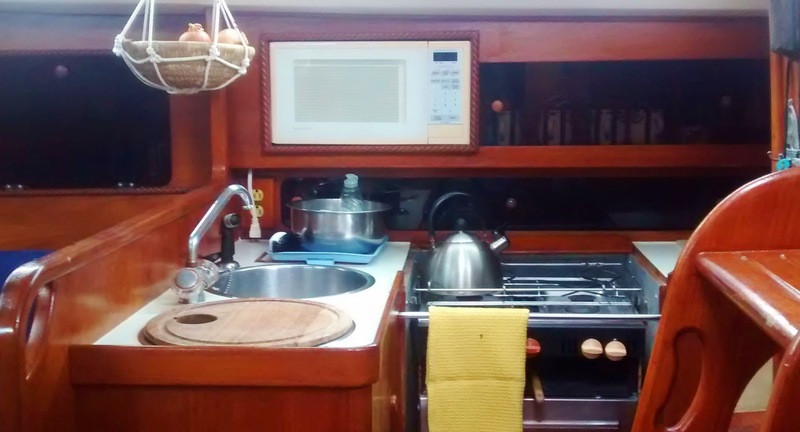 When you live on a boat, trust me, having toilets, showers, washing machines and dryers are very important things. Especially clean toilets and showers. Do you see all of those boxes by the washing machine? Every day, new packages come in full of goodies. Usually, very expensive goodies. I should know. We had a lot of packages delivered to us while we were there. Cha-ching! Outfitting a new boat sure costs a lot of money. I keep track of all of our costs on a nifty spreadsheet, but I can't bring myself to look at it lately. I think I might faint from how much we've spent. Across from the office is the boat broker's office - Dennis Dodge of Advantage Yacht Sales. While our boat was a private sale by the previous owner, we had Dennis do the transfer process. That way we knew all of the paperwork and documentation was all taken care of properly, there weren't any liens on the boat, we were able to put the money into escrow with him etc. 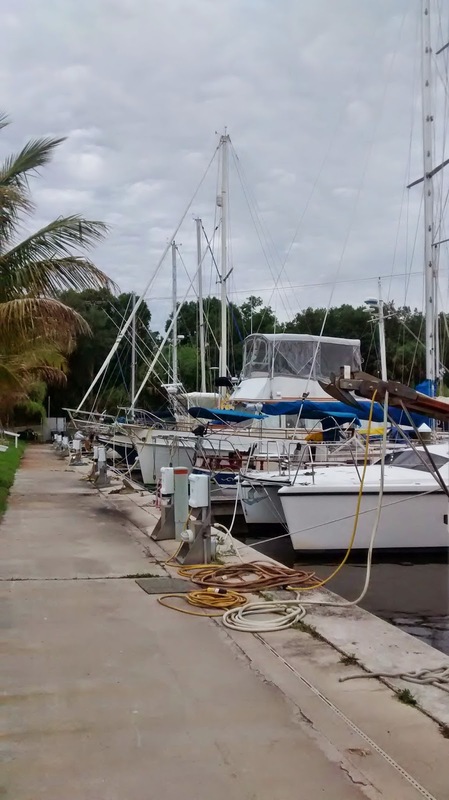 It seems like a lot of boats come to Indiantown to die, but a number of them do find new owners through Dennis. He actually showed us a few boats before we ended up purchasing our Moody 346. 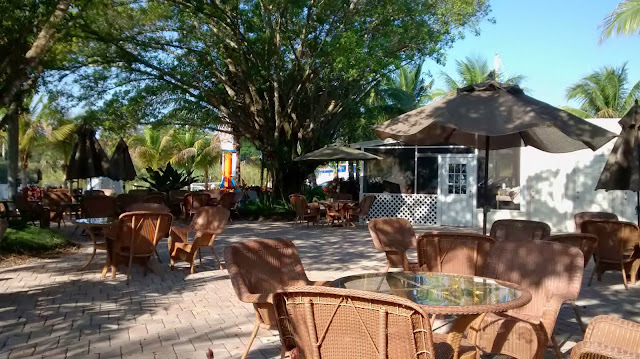 Next to the office is a really nice patio area. It is probably the best part of the marina, especially after a long, hot day. The perfect place to unwind, sip a cold beer and chat with fellow cruisers. If the bugs get to you, then you can always head into the screen room and watch some TV. Of course, when in Florida, don't the bugs get to you? I constantly look like I have a case of the measles with all of the bug bites on me. But I digress. The screen room is nice, but I do prefer the patio. Of course if the heat gets to you, you can slip into the kitchen area. It has air conditioning. Lovely, icy cold air blowing on you and cooling down the sting of all of your insect bites. Bliss. Only problem. Everyone else has the same idea and there is very limited seating. But if it's air conditioning you're after, then you can always head up to the shower block up by the work yard. There are more toilets, showers and a laundry room up there. And they're all air conditioned! When it is 98F outside with 98% humidity, nothing beats a cold shower in an air conditioned room. The shower block is near the RV park. 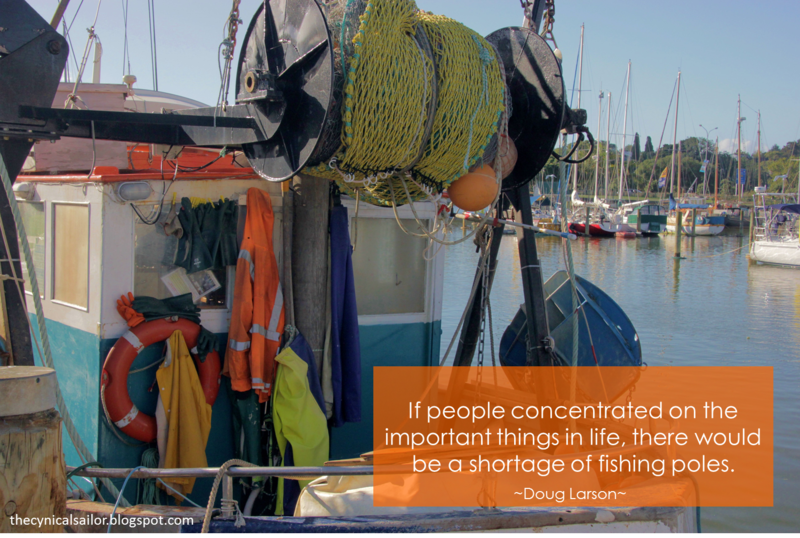 I think many of the people who stay there are folks who split their time between their boat and their RV. 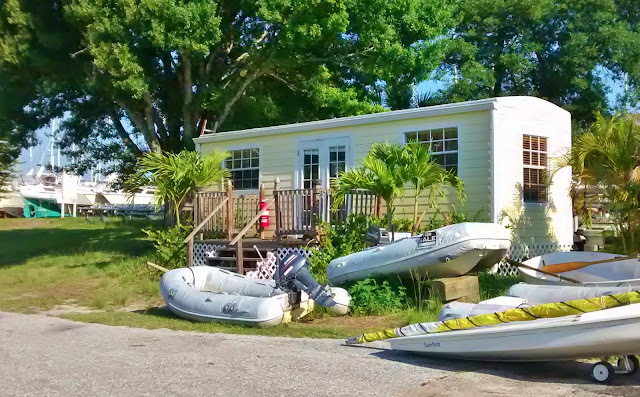 It's a handy place to stay while you get your boat ready for storage and then prep it again for cruising the next season. It does look like there are a few people who stay there long-term as well. It has full hook-ups, but probably not the nicest RV park I've ever seen. Of course, if you're into boats, then this would be the place to stay. But let's move on to the work yard where we spent close to two weeks working on Tickety Boo. The place is a DIY yard. You can do work yourself there without lots of restrictions and regulations. Or, if you prefer, you can have the guys in the shop do some or part of the work for you. You can even act as extra labor on a project, saving money and learning in the process. This was the view from our boat. It's always good to know other people have as many boat projects on as you do. After spending time on the hard, there is nothing better than splashing and taking a slip. 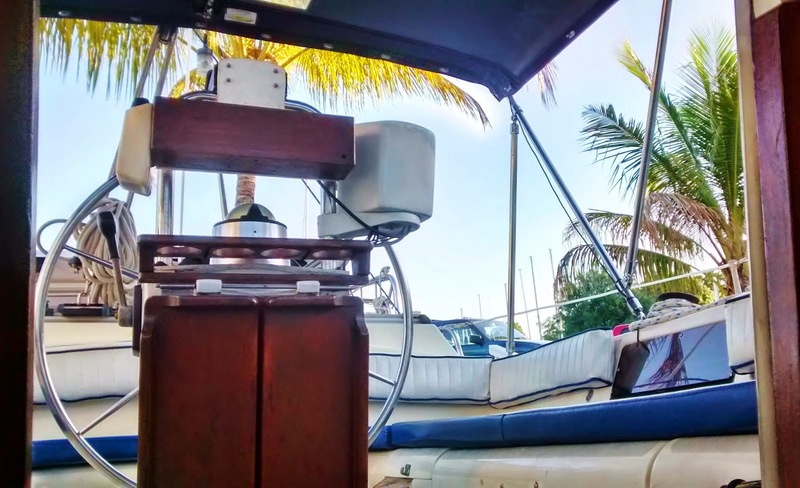 Not only is it cooler as your boat is in the water, but it is also a lot easier to get on and off the boat. 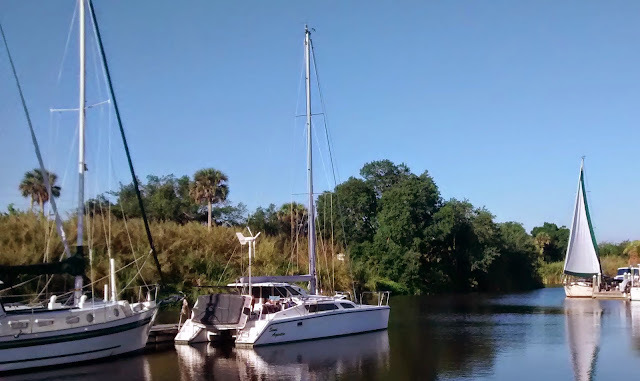 Now, hopefully, by the time you're reading this, we're no longer in a slip, but have left Indiantown Marina for our shakedown cruise to the Bahamas! 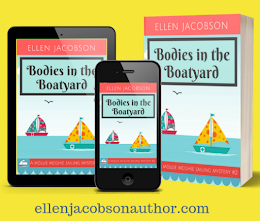 Life Lately On Tickety Boo - Will The Boat Projects Ever End? So, as you know, we bought a sailboat. If you assumed that we would be out sailing, then you would be wrong. Very wrong. Boats aren't meant for sailing. They're meant to keep you busy, frustrated, tired and a bit grumpy. They're also great for depleting your savings account faster than Scotty can beam you up on the transporter to the USS Enterprise. What boats are good for is keeping your beer cold in the fridge. 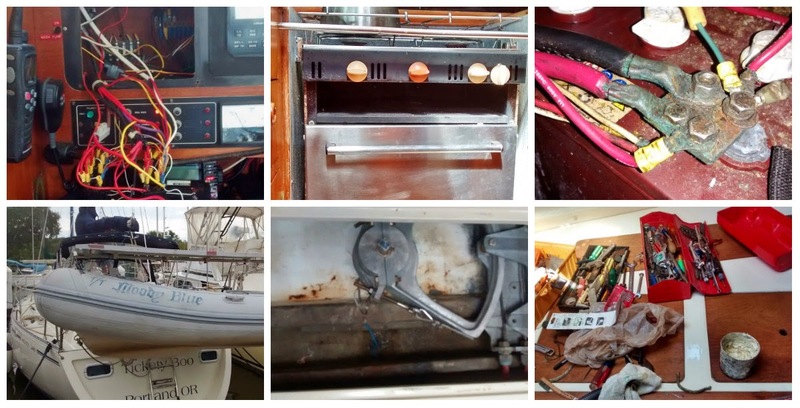 That's assuming your fridge works and fixing it isn't on your never ending list of boat projects. And, as we all know, after a long day of boat projects, an icy cold beer is a very welcome thing. Almost better than a box of kittens (or fluffy ducks if you prefer a Kiwi turn of phrase). Fortunately, our fridge works (knock on wood). Unfortunately, lots of other stuff doesn't work. That's where boat projects come in. If you want to read all of the gory details and boring technical stuff, then check out our new Boat Projects page. Otherwise, here's the Reader's Digest version of what we've been up to lately trying to get everything tickety boo. We started off on the hard. For all you non-sailors out there, the expression "on the hard" is one of the few exceptions to the confusing world of speaking Nauticalese. It means exactly what it says - your boat is on the hard ground. If you fall off your boat, you hit the ground hard. I imagine it would hurt, that is if if didn't kill you first. Surprisingly, given how klutzy I am, I didn't fall off of our boat once. The main focus of our time on the hard was to take care of some major repairs and maintenance that can only be done out of the water. One of the big ones was fixing the steering and rudder. The rudder is that long, blue thing you see on the left hand side of the photo above. It's basically like some sort of tail. It turns left and right and steers your boat through the water. Our tail was kind of broken. It was rubbing up against another part of the boat and it was hard to turn the rudder back and forth. Scott fixed it. He's such a clever chappie. 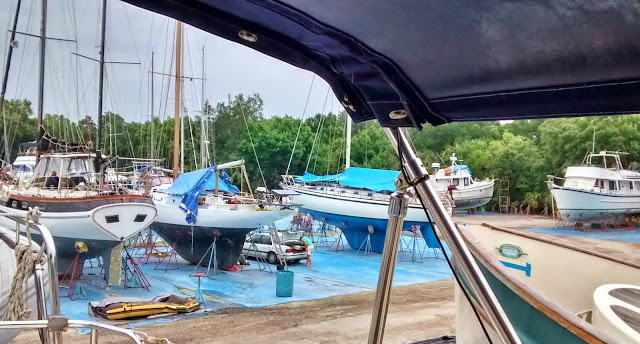 We replaced three of our thru-hulls and seacocks. 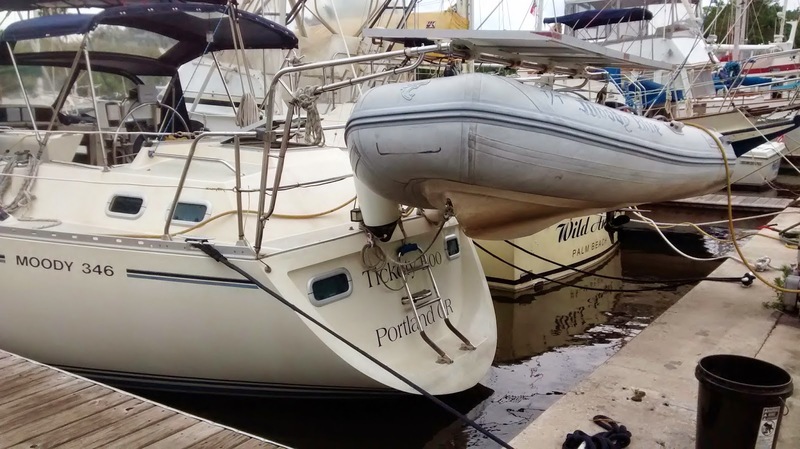 If you're going to have holes in your boat below the waterline, you really want to make sure they work properly. Otherwise, water comes flooding in when you don't want it to. We changed out the anchors and chain that came with the boat with new ones. Then our windlass (the magical device that raises and lowers your anchor without you having to expend any energy whatsoever, other than pushing a button) was possessed by some sort of ghost and decided to start turning on all by itself. And off again. And on again. Scott and two wonderful pals of ours fixed that little problem. They claim that it had something to do with corroded electrical wires and connections. I'm still going with the whole ghost thing. 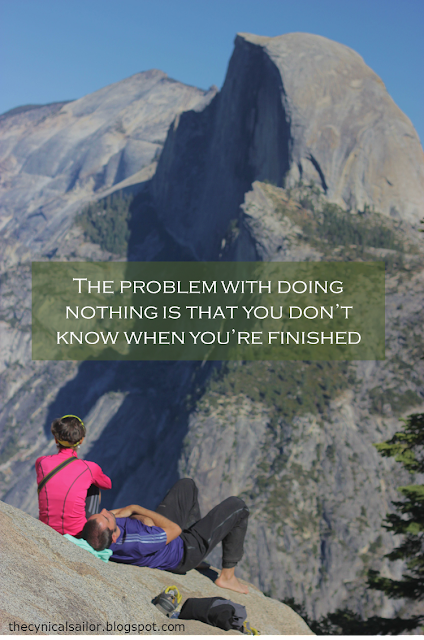 There is a whole bunch of other things we did on the hard, but it is all to boring to go into now. Check out the Boat Projects page if you have a case of insomnia tonight and need something to make you feel sleepy. Then the big day came and we put Tickety Boo into the water. It was a nerve-wracking moment. Would the straps on the Travelift break and drop our boat before she even hit the water? Would Tickety Boo sink the minute we put her in the water? Would the engine start? Would the fridge continue to work so that we could have cold beer at the end of the day? Would the Duchess of Cambridge have a baby girl or boy? These and many other questions haunted me as the day went on. So here's the good news. The Travelift crew didn't drop Tickety Boo. (They're actually awesome and really experienced so the odds that this would happen were extremely slim. But I like to worry about things that aren't ever going to happen. So worry I did.) Tickety Boo floated. The engine started. And we took off on a little sea trial down the St Lucie Canal. This was the first time that we had a chance to helm the boat and really test her out under power. Scott did a lot of practicing and maneuvering out on the water so that he could get a feel for her. The boat ran great. Then Scott went down below to check on things. Then he came up and said that there was water gushing in from the engine stuffing box. He seemed calm. I felt unnerved, but quickly distracted myself by thinking about what an amazing maternity wardrobe that the Duchess of Cambridge has. (Can you tell there was an old issue of People magazine at the marina that I might have spent some time looking at?) Scott fixed the "whole water gushing into the boat thing" and we carried on. Then it was back to the marina to reverse into an impossibly small slip. Honestly, I don't know how Scott did it. There isn't even 1/4 of an inch on either side of our boat between the dock and the pylons. He's amazing. But don't tell him I said so. It will just go to his head. After some well deserved cold beers and a good night's sleep, we started in on boat projects in the water. Actually, there's no such thing as a good night's sleep after you've just bought a boat. You're up all night thinking about what needs to be done, how you're going to do it and how much it's going to cost you. So what projects have we been working on on the water? Lights is a big one. You need lights on your boat so that other boats can see you, know which way you're going and what you're up to. Our stern light (the one at the back of the boat) and our anchor light (the one at top of the mast) didn't work. We have some wonderful friends who have been helping us out with this. They're brothers with the most amazing beards - one looks like Santa Claus and the other looks like one of the guys from ZZ Top. The lights work now, but it was a struggle to get there. At one point there was smoke coming out from the control panel. You'll be glad to know that I kept my cool and got the fire extinguisher out and ready to go should a fire have started. Fire on our boat actually hadn't been one of the things I regularly worry about. I've since added it to my list. While the boys were busy fixing the lights, I experimented with our Force 10 oven. I haven't had an oven in years. So I was so excited to try it out and make some brownies. If you like brownies with burnt edges and an undercooked center, then I'll happily share my recipe with you. I'm still trying to figure out how the thing works. Just so you don't think it is Scott doing all the work (although that's probably true), I washed the anchor locker, anchor chain and rode. It's always exciting to scrub mud off of things. Why spend money on a manicure when you can color your nails brown with mud instead? I've also got a slew of other cleaning things on my list as well - like sanitizing our water tanks and getting mold and mildew to disappear (at least for now, I do realize that it will be back). I've also nominated myself to be Safety Officer. It sounds like a very important job, doesn't it? I've been busy ordering new flares, organizing for a Coast Guard safety inspection, making sure our fire extinguishers are up to scratch and rearming our PFDs with new CO2 cartridges and chargers. I'm positively giddy with the power I have as Safety Officer. That's probably way more than you wanted to know about our boat project list. I'm getting bored and hungry, so I'm off to eat a brownie with the burnt edges carefully cut off. 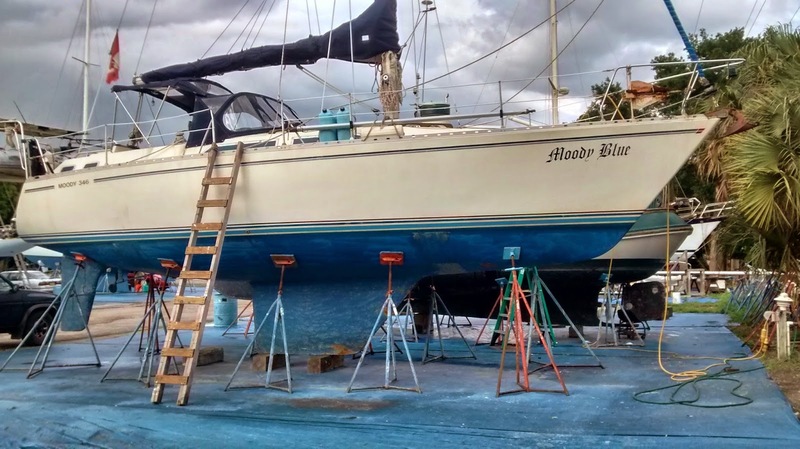 Come meet Tickety Boo, our new-to-us 1987 Moody 346 sailboat! 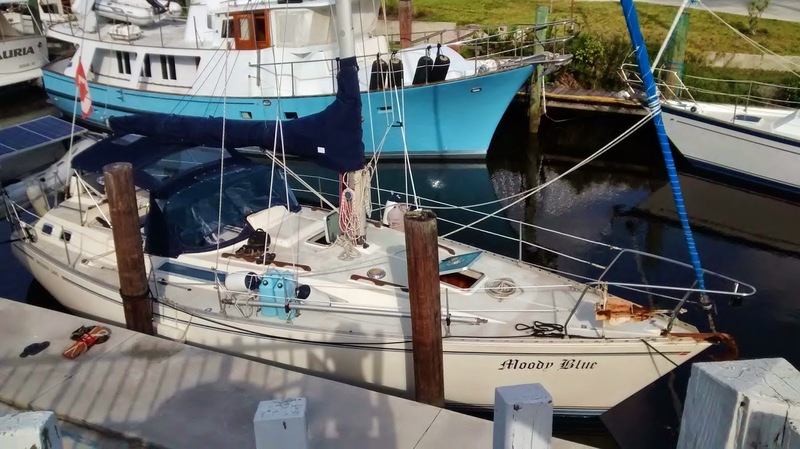 This is a picture from when we first bought her, so you'll see the name Moody Blue on the bow, which is what her former owners called her. But from now on, she'll be known as Tickety Boo, which is one of our favorite Kiwi expressions, meaning that it's all good. 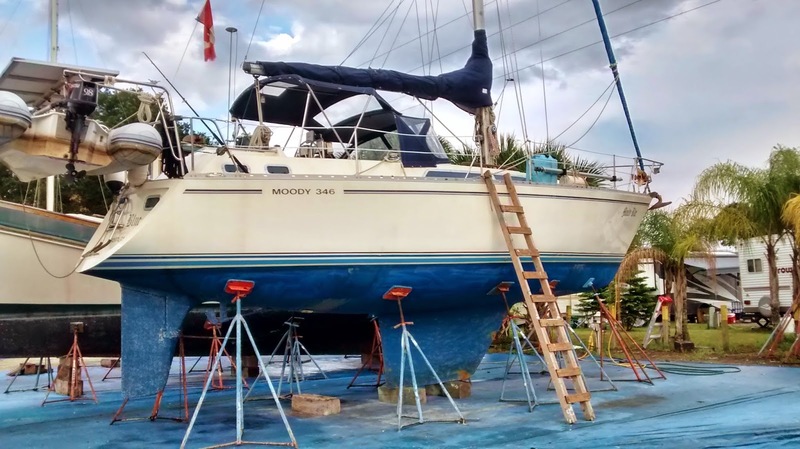 Scott has had his eye on Moody boats ever since he first started sailing when we lived in Scotland. They're British blue water cruisers and rarely come up on the North American market, so we were thrilled to find one that worked out for us. Moody 346s were first built in 1986 and continued to be produced until 1990 with 254 being built in total. They're an updated version of the Moody 34, the only difference being that the 346 has port lights and a sugar scoop (which is a huge plus in my opinion). 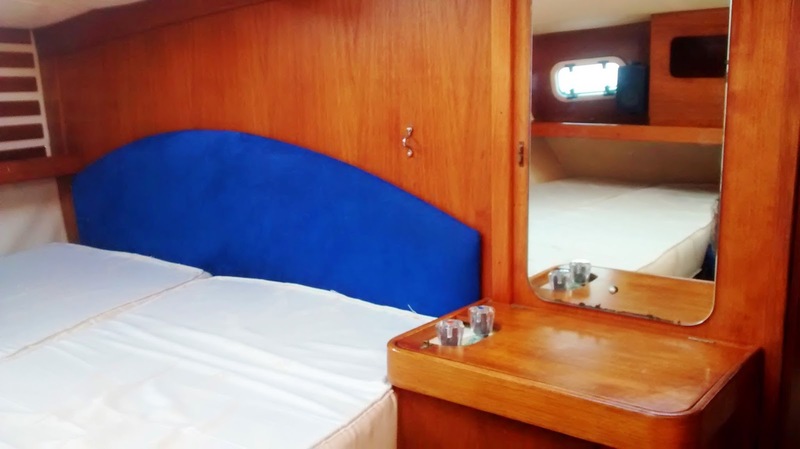 They're considered to be good cruising boats both in terms of livability and performance. 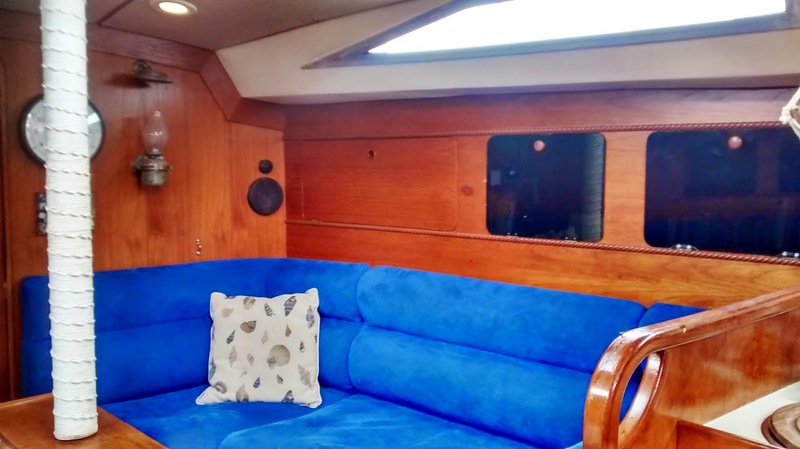 After living and sailing on our last boat in New Zealand (a Raven 26), we learned a lot about what we were looking for in our next boat and made up a wish list (you can find links to it on our Boat Buying page). 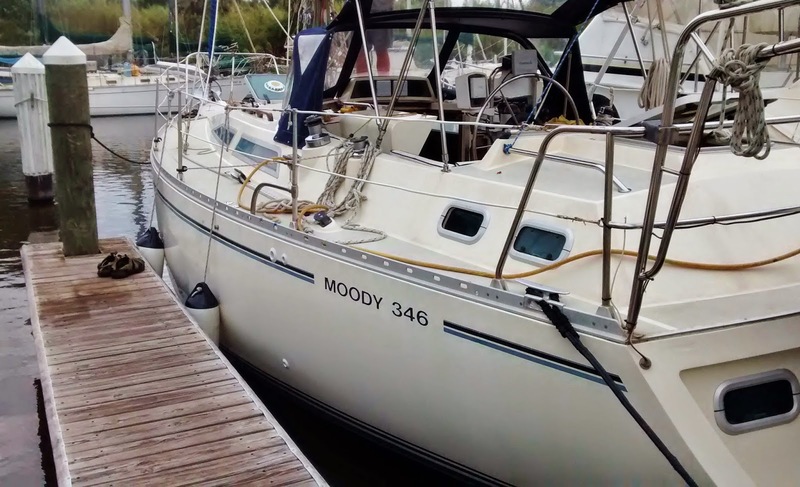 We knew that we would never find a boat that ticked all of the boxes, but the Moody 346 ticks many of them. Like having a center cockpit. Can't you just imagine sipping tropical drinks with umbrellas and fruit while sitting in the cockpit and watching the sun go down? Our old boat had a tiller. It took me forever to learn to turn right when I wanted to go left and vice versa. Now, I have to unlearn all of that. With a wheel, right = right and left = left. Confusing. The sugar scoop and swim platform was one of my requirements. Sadly, isn't actually made out of sugar, but it makes getting on and off the boat so much easier. To get on and off of the boat using the sugar scoop, you need to lower the dinghy. Notice the new boat name and hailing port on the sugar scoop? Love the aft cabin. This is going to be so much better to sleep in then being crammed in a tiny v-berth like on our last boat. 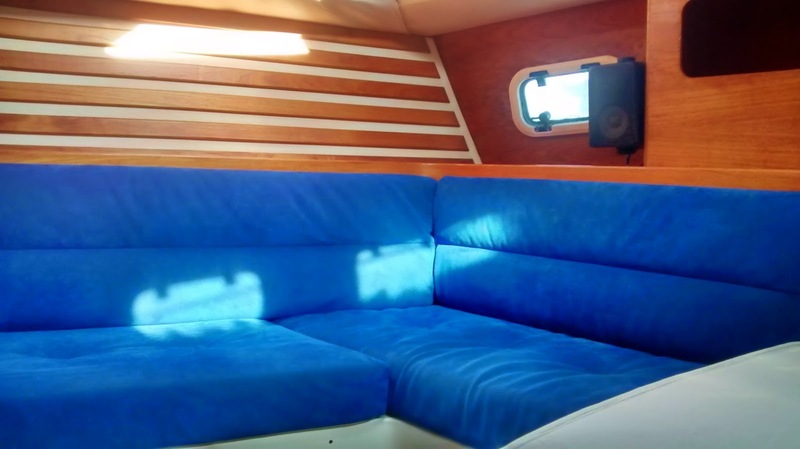 Seating area in aft cabin. 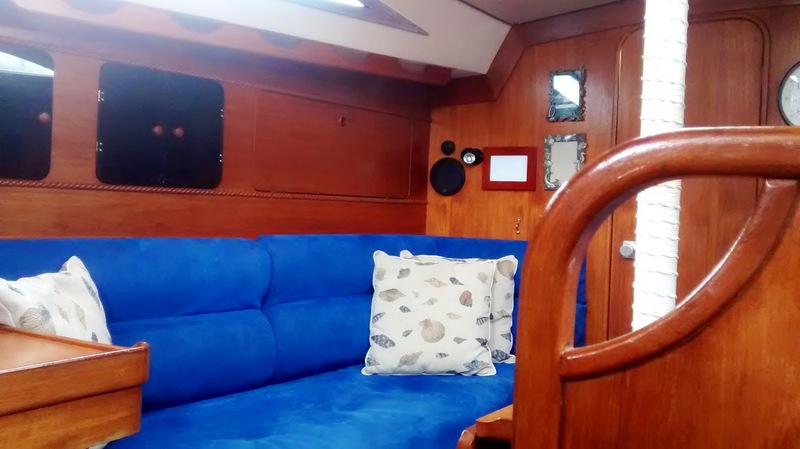 Nice place to lounge and look at cruising guides. 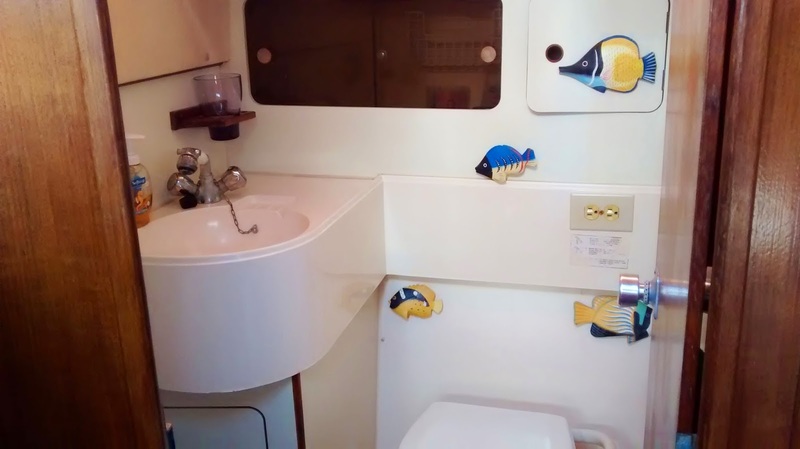 There is a little vanity sink in the aft cabin. Useless in our opinion. Yippee! We have a fridge in the galley. Yes, we survived happily without one on our last boat, but cold beer is a real plus. The former owners used the microwave as a bread box. I suspect we'll do the same thing. Not really something we can run unless we're connected to shore power. One of the settees in the saloon. The previous owners took out their personal pictures from the frames on the wall. Some day we'll need to either put our own pictures in or change out the frames. Decoration isn't high on our priority list just now. This is the other settee. In between the two settees is a folding table. We could probably cram eight people in for dinner. Underneath the settees is where our water tanks are. Of course there is a head, which is fancy sailor talk for bathroom. Theoretically, you can shower in here too, but it would be a little cramped and the previous owners took out the pump. Maybe one day, we'll reinstall one. 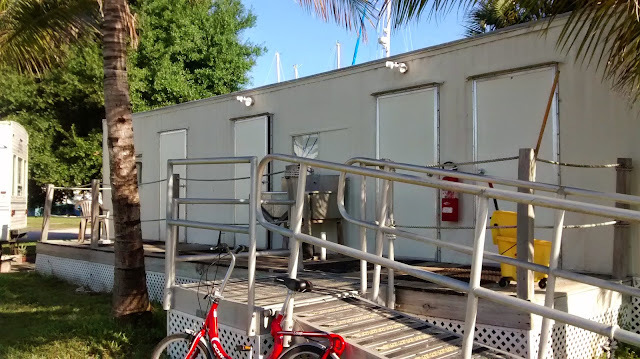 In the meantime, we'll stick with solar showers on deck. I like the cute fish decorations. 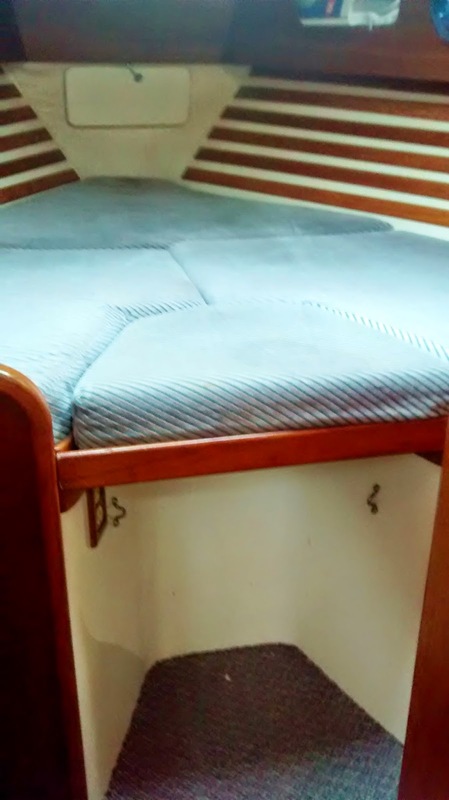 The v-berth (or pointy cabin at the bow of the boat) is basically going to be our storage locker. Theoretically, we can sleep two people in there, but then where would we put all of our stuff? If you come visit us on Tickety Boo, here's where you'll sleep. For those of you who want all of the nitty-gritty details and specs, here you go. The rest of you can scroll back up to the top and look at the pretty pictures. I'm always curious how much it costs other people to live and travel full-time in their RVs (yes, call me nosey), so I thought it only fair that I share our costs from living and traveling around the States in our 13' Scamp travel trailer. We also did something similar when we lived and cruised on our sailboat in New Zealand - you can check those numbers out here. It probably goes without saying that everyone's costs will be different. 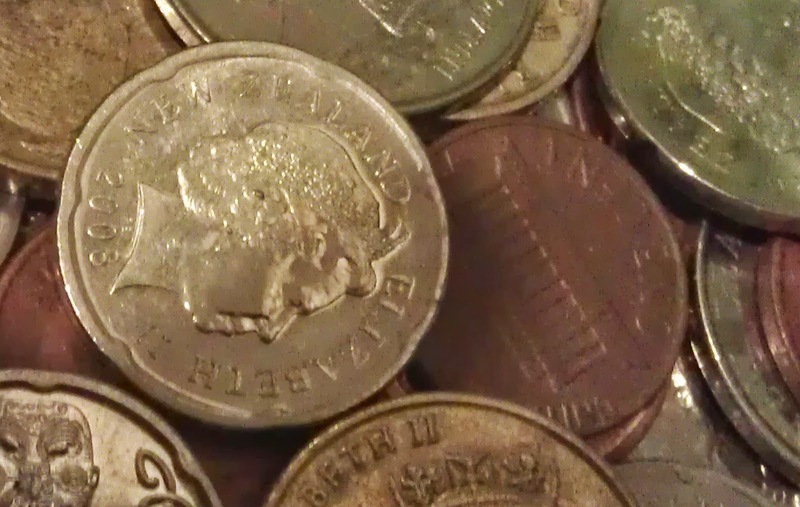 Some people spend heaps more then we do, while others have really sussed out how to do this super frugally. I imagine we're probably somewhere in the middle. 1 - December is a shorter month. The time frame covered is from mid-December (when we picked up our new Scamp in Minnesota) until the end of April. 2 - Not everything is captured. This is a really important point. Certain things aren't reported in our numbers, but we still have to spend money on them. When you're looking at people's RVing costs, you're not always comparing apples to apples. People slice and dice their data different ways and consider some things RVing costs that other people don't. So what have we excluded? Anything related to booze and chocolate. I don't want people getting all judgy about how much chocolate cake I eat. Trust me - I ate a lot of the stuff. And we do like to have a cold beer on a hot summer day or a gin and tonic while watching the sun go down, but I think I'll just keep those numbers to ourselves. 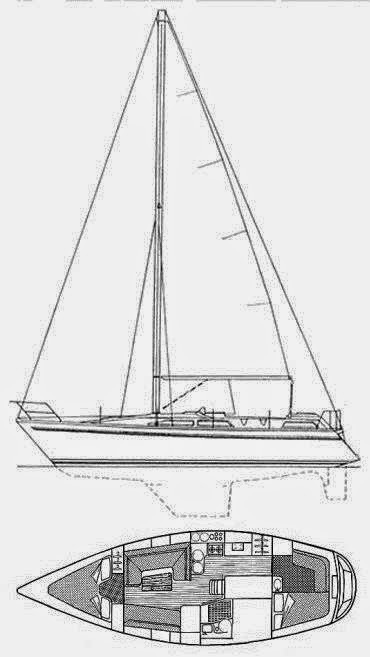 I've also left off our costs related to our new boat. It's just too depressing to add those up (boats are the ultimate money pits) and they aren't related to our RV lifestyle. Finally, I've also excluded what we spend on health insurance. Since 2001 we've lived overseas in Scotland and New Zealand and would get travel insurance when we came back to visit family. But once we decided that we would be spending more time in the States and, in fact, would be here for most of 2015, that travel insurance route wasn't going to work for us anymore. Option 1 was to go uninsured and pay the penalty under the Affordable Care Act. Option 2 was to get insurance. Neither one was ideal. We hemmed and hawed and eventually decided to get insurance under the Affordable Care Act. If we were younger, I might have been less risk adverse and gone without coverage, but we're of that age where one of us could have a major health issue. I was also keen to protect our assets should we have a catastrophic health issue. Going bankrupt doesn't really appeal. So we bit the bullet and got insurance. It is disheartening to see how much of our monthly income goes out the door to insurance premiums, especially as we're both healthy and don't need any medical care. 3 - Our RV is brand new. While we've had some minor issues with our new Scamp travel trailer, we're still covered under warranty. Folks with older RVs will have higher repair and maintenance costs then ours, which is zero. So, now on to the nitty-gritty. Overall, we spent $8,687.02 over the course of 20 weeks. That works out to an average of $434.35 per week. We spent the biggest percentage of our budget on costs related to our Pathfinder tow vehicle - mostly for gas ($2,750.06). We spent the least amount on personal and household items ($269.32). I guess that give you an idea of our priorities. Here is breakdown of how we categorized our spend and other tidbits that might be of interest. There is a table at the end of the post which summarizes our spend against each category by month. It always astounds me how much we spend on what we put into our bodies. Occasionally, I try to take a more frugal approach to grocery shopping, but it never really works out. This includes all those household goods (like paper towels, toilet paper, cleaning products, ziploc bags etc) and personal items that make you smell nice and look pretty (like shampoo, soap etc). We're currently on the $60 AT&T Go Phone plan. Unlimited minutes and texts and 4GB of data a month (increased in April from 2.5GB). I'm a bit of a data hog, so we end up buying extra data packages (1GB for $10) each month and we've also purchased international calling minutes. I'm so jealous of all of those folks who have unlimited data plans. Too bad they don't offer them anymore - at least not that I've found. 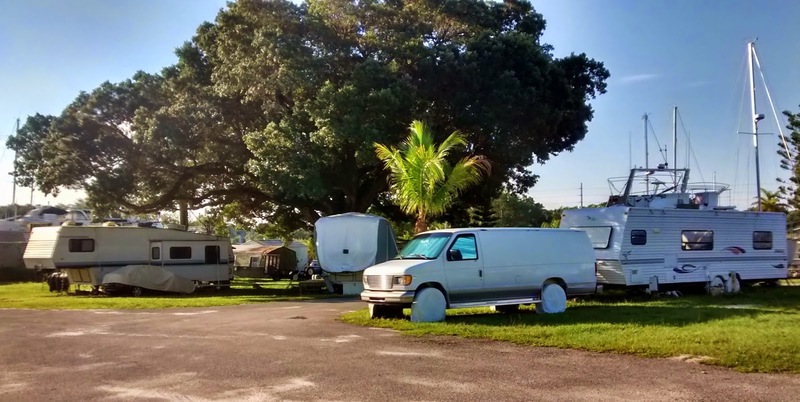 We break our RV spend down into several categories - campgrounds ($1,388.31), repairs/maintenance ($0), equipment/gizmos ($129.35), insurance/registration ($178.00), LPG ($52.20) and miscellaneous ($35.20). We spent a bit on equipment and gizmos as our RV was new and we needed to get kitted out. Things like chocks, hitch locks, water hose, water regulator, outdoor mat etc. In fact, we bought chocks and an outdoor mat twice as I left our original ones at Babcock-Webb Wildlife Management Area in Florida (hope whoever found them enjoys them). Our annual insurance for our Scamp is $134 a year. You'll see this as one payment in April, as well as a pro-rated payment in December. This is where we capture every penny, nickel and dime we spend on eating out, having drinks out, going to the movies, getting coffees, buying books and magazines etc. We really blew the budget in January ($350.14), but, hey, we were in New Orleans and we had a great time. We spent more than I would have liked in April ($212.69), but we were so exhausted and busy from working on the boat, that we ended up having other people make food for us more often than normal. We spent a fortune on gas. Which isn't surprising given the fact that we picked up our Scamp in Minnesota, drove down to Texas and then along the seaboard to Florida. The other big expenditure was for our annual insurance for our Pathfinder. It went up to an astonishing $909 our annual policy. And that's just for third party liability. I'll be doing some calling around looking for better rates, you can bet on that. We also spent money on public transport in New Orleans, parking, toll roads and a new battery for our Pathfinder. This is a catch all category for things that don't fit neatly elsewhere. Like clothes, laundry, postage, photo-copies etc. So there you go - our costs for full-timing in our Scamp travel trailer. Was it more or less than you imagined? We Survived The Blogging From A To Z Challenge!